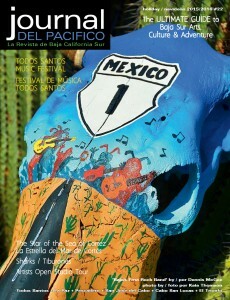 Happy New Year from Journal del Pacifico! 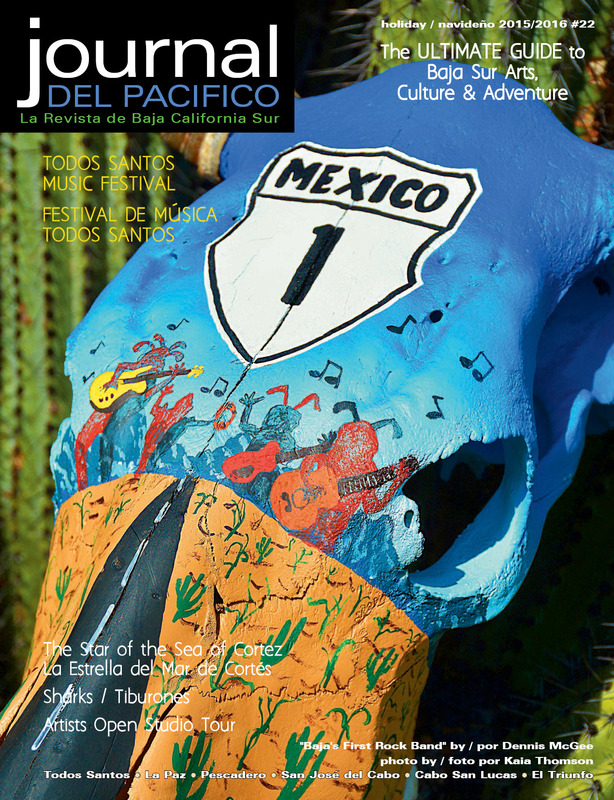 We’ve received a lot of compliments on our Holiday 2015/2016 issue cover featuring the hand painted skull by artist, “Indian” Dennis McGhee. 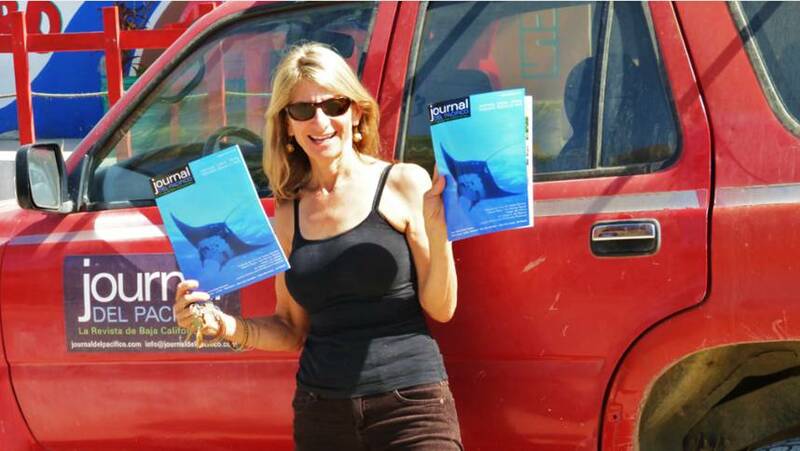 The 2016 La Poza Lagoon calendars are available at El Tecolote bookstore in Todos Santos and Allende Books in La Paz. 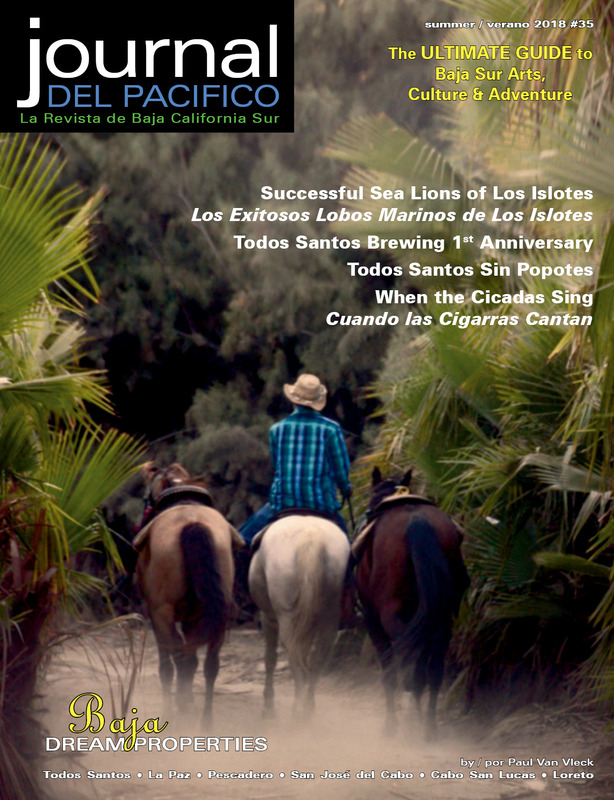 These beautiful calendars help support the efforts to save La Poza lagoon and feature photography by Claude Vogel, Kaia Thomson, Alvaro Colindres and others. The new La Morena Restaurant Bar, located on calle Juárez in Todos Santos, just down the street from Galería Logan and Snell Real Estate, is open for breakfast, lunch and tapas. They serve espressos, ristrettos, lungos, lattes, frappes, chais, smoothies, paninis, healthy salads as well as tacos and other entrees. In the evenings, enjoy an appetizer with wine, served by the bottle or by the glass. Cold beer, margaritas, cocktails or a cool martini are also on the menu. La Bohemia Hotel Pequeño on calle Rangel in Todos Santos, is having an open house every Thursday and Saturday from 4 to 8 pm with delicious treats from Mama’s Kitchen and special cocktails and wine 2 for 1 from 4 to 6 pm. Landi’s Restaurant, next to Teatro Márquez de León on the plaza, is open Tuesday through Saturday, 12 to 9 pm, serving delicious traditional Mexican dishes. They are also open 9 am to 2 pm for their special Sunday brunch. If you’re looking for a sweet treat for the holidays, or anytime, Chocolates La Laguna in Todos Santos, has champagne truffles, pumpkin spice truffles, and white chocolate bark with cranberries. México Gourmet in Todos Santos has a variety of Mexican made edibles including spices, jams, jellies, moles and salsas, and is well known for its large stock of mescales. Stop in for a tasting! Étnica, across the street from La Copa and The Todos Santos Inn in downtown Todos Santos, has beautiful Mexican clothing, accessories and fabulous tooled leather purses, wallets, boots and more. Casita Anita has moved. 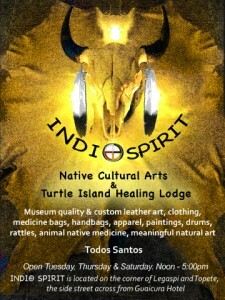 The new, spacious location is on calle Militar in Todos Santos, next door to Gallery 365. Her new location has a whole new look that includes more room for Pepita Nelson Fashions. Santa María Boutique has a large selection of 100% cotton fashion clothing for men, women and children at their two locations in Todos Santos—in Plaza Adriana across from the Centro Cultural and Plaza Los Faroles, just ½ block from the Hotel California. You can take control of your water and your health. Water Ways Baja is your home town drinking water resource. Residential or commercial, all systems are custom designed based upon contaminants in your water and your needs. Water test results are in writing from independent certified water laboratories. 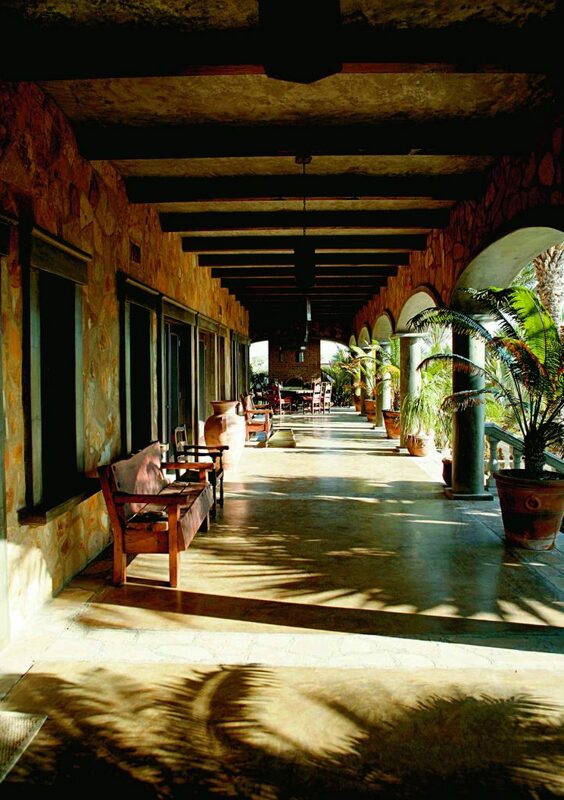 Unwind and rejuvenate your spirit at Casablanca b&b on the La Poza hill in Todos Santos. Guests enjoy their elegant accommodations, delicious meals or the chance to simply relax by the pool. Restaurant Miguel’s across the street from Shut Up Frank’s, has long been famous for their chilies rellenos, fresh seafood and traditional Mexican fare. Now they are open for breakfast again, 8 am to 10 pm, Tuesday through Saturday. The new rooftop Riptide Bar at Desert Moon Hotel at Cerritos beach is open. Stop in for an adult beverage and a great view any time from 9 am to 10 pm. There’s something for everyone to fall in love with at Cerritos Beach Inn. Located just steps from the swimmable beach and surf break at Cerritos beach in Pescadero guests can also enjoy ocean, mountain and desert views and whale watching. There are brand new ocean front and desert view suites, as well as a restaurant and pool. Cerritos Beach Inn is also available for wedding and special events. MiniSuper Munchies in Pescadero is much more than a gourmet store. There is a book exchange, lending library, community bulletin board, and pop up dinners with local chefs. Check with Emily on their weekly events. There’s always something going on at Dana’s Diner on the highway in Pescadero. Daily happy hour, NFL football, guest chef nights, live music and karaoke nights. Call or stop in and check with Dana for more information. Want coffee? Baja Beans Roasting Company in Pescadero is now open every day from 8 am to 4 pm. Brody’s Pizza on the road to Cerritos beach is open 1 to 10 pm and serves Italian style wood oven pizza, pastas, salads and cold beer! Home delivery is available too. The 7th Annual 2016 Todos Santos Open Studio Tour will be held over two days: Saturday and Sunday February 6 and 7 from 10 am to 4 pm. It’s a great way to explore the world of the artists, who live and work in this artists’ colony. 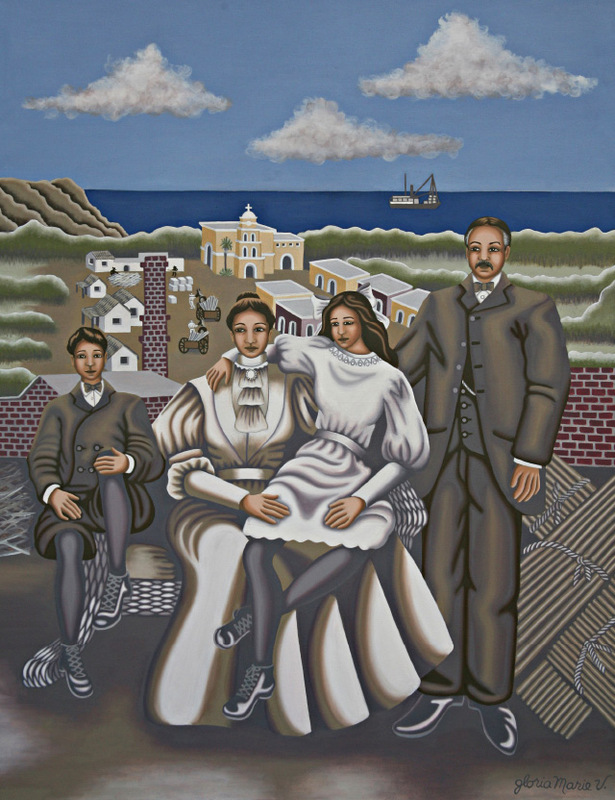 Tickets for the Todos Santos Artist’s Studio Tour are good for both days and can be purchased online at www.brownpapertickets.com or in person at El Tecolote Bookstore beginning February 1. Maps and wristbands can be picked up at Cafélix both mornings of the Studio Tour. All proceeds will benefit the Children’s Art Programs of the Palapa Society of Todos Santos A.C.
We’d like to especially thank our translators that make it possible to publish many of our feature stories in English and Spanish: Paula Angeloni, Elena Ascencio Ibáñez, Kat Bennett, Isabel Jáuregui and Vivianne Jáuregui Mariño. ¡Gracias! We’ll see you in February 2016 with our Festival issue. The deadline is January 12. Reserve your space today! Whatever you’re looking for, we’ve got it here! This Friday, February 14th, from 5 to 6:30 pm, IndiO Spirit in Todos Santos will host a “Valentine’s Day Sunset Sound Meditation for Worldwide Day Of Sound Healing–A Harmonic Heart Realignment for All.” Immerse yourself with the transformative vibrations of the planetary tones of the Acutonics Healing System with The Ohm Gong, Tibetan Bowls, Bells, Chimes and Tuning Forks—for balance, harmonic healing and reconnection with the divine harmonies and rhythms of the universe. Across the street at the Restaurant at Guaycura Boutique Hotel you can enjoy a Valentine’s weekend for two, February 14, 15 and 16th, starting at 1 pm daily, the chef will be preparing a romantic “prix fixe” meal for two using only the freshest local ingredients. 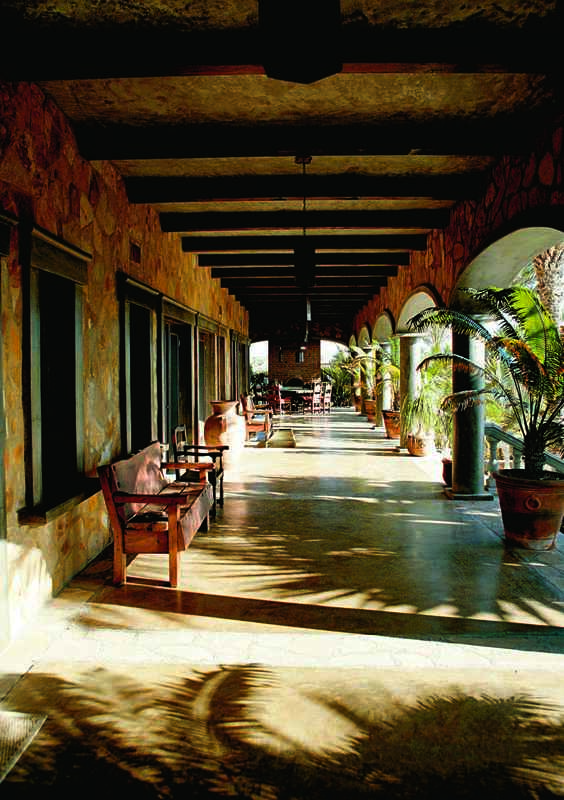 For cool listening to hot jazz, there’s no better place than La Copa at The Todos Santos Inn. This Friday, from 7 to 11 pm, “Pepe and Friends” will welcome Grammy award winning artist, Terry Townson. Share a delicious variety of chef Patricio’s small plate dishes from La Copa Cocina with your loved one. Amigos de El Pescadero will be holding a Valentine’s Day Fundraiser, February 14, at 6 pm, at Mariscos El Pescadero Restaurant on Highway 19, Pescadero. Raffle tickets for whale-watching trip to Magadalena Bay for 2. Raffle tickets are 10 pesos and can be purchased at Pescadero Life Booth at Baja Beans Sunday Market or online: www.PescaderoLife.com. Amigos de El Pescadero is a non-profit multi-cultural, community organization that undertakes projects that benefit the community, such as infrastructure improvements, neighborhood security issues, and support to health programs. 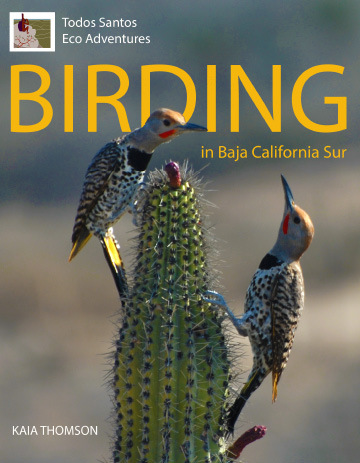 Sunday, February 16th, at 4:30 pm, will be a Presentation and Book Signing for Todos Santos Eco Adventures’ and Kaia Thomson’s stunning Birding in Baja California Sur. Books will be available for purchase. You won’t want to miss this one! Birding in Baja California Sur is available at El Tecolote Bookstore in Todos Santos and Allende Books in La Paz.